Your roof is is a major part of your home’s curb appeal, serving as the home’s first impression to the world. It also protects your family from weather and the elements. You want the best quality roof you can get, and with a wide selection and quick installation, Atlantic Roofing Company is your best choice for a roofing contractor. Whether you want to have a new roof or gutter installed, serviced, or inspected, we’ve got you covered. 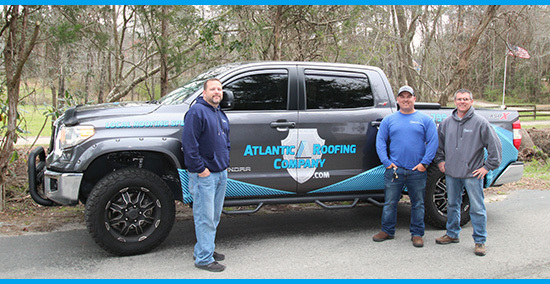 With over 25 years of experience in installing and servicing quality roofs in the Wilmington, North Carolina, area, Atlantic Roofing Company is the team you can count on. Once you’ve picked your new roof, we will install it for you, taking the stress out of home improvement. Make sure your roof is installed right by using a professional roofing contractor. Our team has years of local experience and training. 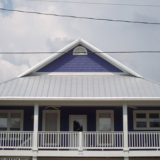 A new metal roof can add durability, energy efficiency, and curb appeal to any home. 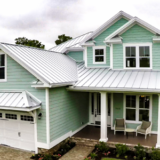 Resistant to storm damage, metal roofs are a particularly good choice in coastal Wilmington, North Carolina. A dependable and popular roofing choice, you can choose asphalt shingles in a variety of colors to match your home’s style. We also provide inspections and repairs, so that you can keep your existing shingle roof in top form. 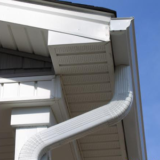 Good gutters can are necessary for any roof, providing needed water protection. Atlantic Roofing Company can install or service gutters to help prevent water damage. If you have any more questions, or would like to get a free roofing estimate, contact us today. 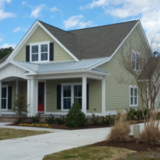 Atlantic Roofing Company offers free installation estimates in Wilmington, Surf City, Jacksonville, and Carolina Beach, North Carolina. Contact us at (910) 799-3858 to learn more about the services we offer.